The Guardian’s ongoing “This Is The NHS” series is really pushing my buttons at the moment. The newspaper is clearly particularly proud of their feature project, which makes the series’ blatant NHS hagiography and stunning lack of intellectual curiosity especially infuriating to read. As a journalistic exercise it has been utterly contemptible, constantly telling people what they want to hear – that the NHS saves lives (as though that were not a feature of every healthcare system), that it employs many hardworking people – rather than what they need to hear in order to make an informed, dispassionate judgement about whether the UK’s unique approach to healthcare delivery is sustainable in the future. Any and every inconvenient fact which suggests that the NHS is not in fact the “envy of the world” is immediately shot down in the series of articles – like when the Guardian quotes a professor of European public health‘s dismissal of reports criticising the NHS as being “market oriented”, as though the accusation automatically ends the argument, and as though we could not have foreseen that opinion by simply reading his job title. A mission statement set in 1948 for a universal service free at the point of use is under strain like never before. People are still able to see a GP free of charge – though booking an appointment is becoming harder. It will cost nothing to call out an ambulance and go through A&E, to undergo chemotherapy or major surgery. And yet about 11% of the population prefer to pay for private health insurance. “And yet”! And yet despite having this state-provided, socialist wonder on our doorstep, an astonishing 11% of the population elect to pay for supplementary coverage. Could it possibly be because cancer outcomes in the UK are about the worst in the developed world, or because getting to see the specialist who can actually treat your condition requires going through the gatekeeping step of booking a GP appointment, often with a month-long wait before each step? No. The people who pay to go private are clearly just ungrateful, verging on insane, to want to circumvent such a benevolent system. But of course we all know exactly why the Guardian is so eager to talk about how much we cost the state (and chide us for doing so) yet desperate to avoid talking about how much we contribute. Because to look at both sides of the equation simultaneously would be to encourage the public to ask whether they getting value for money. And it would reveal – as we now know – that the majority of us are net takers, or beneficiaries, from the system. The Guardian’s whole anti-Tory, anti-austerity schtick is built entirely on the notion that we all contributed to our public services, and that the dastardly Evil Tories are cutting services to which we have all made substantial financial contributions. They seek to perpetuate the vague notion that we have a contributory welfare system, when in reality Britain’s welfare system is defiantly, depressingly non-contributory. And that, right there, is the real problem. Not the NHS itself – a flawed but well-meaning organisation filled to the brim with mostly hard working and well intentioned people – but rather, the warped view we have of the concept of “fairness” in this country, and the desperate lengths the Left will go to to stop us from thinking rationally about important issues. In Britain, the word “fair” has been taken by the Left and forcibly redefined to mean “redistributive”. You’ll see it in public discussions of any issue from tax policy to healthcare – no policy can ever be described or promoted as being “fair” unless it takes from the privileged few and given to the “disadvantaged” many. Everything now has to be redistributive – or at least, nothing can ever move in a less redistributive direction, resulting in a one-way ratchet to ever bigger government. Thus Gordon Brown’s decision to hike the top rate of income tax from 40% to 50% was bold, progressive and generous, while George Osborne’s decision to undo just some of that punitive and unproductive tax increase (cutting the top rate from 50% to 45%) was a corrupt, almost immoral “giveaway to millionaires”. And thus a healthcare system based on insurance – which might see people who make unhealthy lifestyle choices pay more, rather than being subsidised by their peers – is considered unthinkably bad, while the NHS model, funded through our progressive tax system, is lauded as being inherently good and virtuous. Indeed, the only way that the NHS could be improved in the eyes of its most ardent admirers would be if wealthy people could be targeted and forced to pay arbitrary additional “NHS tributes” every time they experienced success or felt any kind of joy in their unfairly privileged lives. And this is why it is almost impossible to imagine real reform of the NHS, the welfare state or any other major modern edifice of British public life. Because “fairness” has been corrupted from its more authentic meaning, the meaning which we might apply in any other context in life – the principle of reward being commensurate with effort, or “getting out what you put in”. And while we may still be taught The Little Red Hen as children, as adults we much prefer to virtue-signal by nodding along to the mantra that fairness means the state blindly treating everyone exactly the same. [..] The problem – and the great moral rot at the heart of the British welfare system – is that the state makes absolutely no distinction between the perfectly-fit, perfectly-able eighteen year-old who can’t quite be bothered to look for a job, and people of more nuanced and complex circumstances. Worse still, the system treats people who have worked hard for many years, often contributing enormous tax payments to the Treasury throughout their lifetimes, in exactly the same perfunctory way that it treats a person spat out of compulsory education at eighteen without the curiosity or drive to find a career. [..] People talk about the welfare system as being a “safety net” without thinking, and for some people it may function as such tolerably well, if they ever use it at all. But for many thousands and millions of others, our universal and non-contributory system – which remarkably, despite being the product of classic Big Government, takes absolutely no account of our individual lives and circumstances – is no such thing. If a person is born into deprived circumstances, our social safety net is far more likely to resemble deadly quicksand, seeming benign at first but quickly trapping the victim without hope, dragging them ever deeper with each desperate exertion to break free. And if they are even moderately well-off but suddenly fall on hard times, Britain’s universal welfare system certainly isn’t like landing in a soft safety net – it’s more like smacking into a concrete floor from a fifty-foot drop. The difference between a contributory and a means-tested welfare system is not just an administrative one. The two reflect completely different conceptions of fairness, and different understandings of what a welfare system should be there for. A contributory system is based on an understanding of ‘fairness’ in the sense of ‘proportionality’, or reciprocity: the more you have paid into the common pool, the more you should be entitled to take out of it. Quid pro quo, something for something. In a means-tested system, meanwhile, fairness is understood as supporting the needy, with support being proportional to need. The more you need, the more you get, and if you don’t need support, you won’t get any. Due to their emphasis on proportionality, contributory systems are not, in themselves, redistributive. They are only redistributive to the extent to which they deviate from the contributory principle, which no system adheres to in an entirely pure form. But a welfare state that honours contribution cannot, at the same time, be strongly redistributive, and a welfare state that is strongly redistributive cannot, at the same time, honour contribution. In this sense, those who have recently discovered their love for the contributory principle are not telling the full story. They are right to point out that the British welfare state offers those who have worked and contributed for a long time a rough deal. But they fail to mention that this is precisely what redistribution is all about. If the welfare state has little left for those who have a paid a lot into the system, it is because all the money has already been spent on non-contributory transfers. So unless our new contribution enthusiasts are also planning to substantially expand the welfare state – and I take it that that is not their intention – then they can only restore the contributory principle by reducing the extent of redistribution. Since nobody appears to be prepared to do that either, ‘something for something’ is hollow rhetoric. There will be no return to contributory welfare. It seems to me that there are two potential ways to go. On one hand, we could move toward a more genuinely contributory welfare system. Under such a system, the amount of (say) unemployment benefit received would vary according to prior salary and past taxes paid, making it closer to unemployment insurance – a disbursement intended to provide a time-limited “soft landing” in the event of unforeseen job loss. Means testing would cease under such a system. And while a basic payment would be available to all citizens, those who contributed most would receive more help should they fall on hard times. And on the other hand, we could accept that this more discerning form of “fairness” is politically toxic and unachievable, cut our losses, and focus instead on making the current bloated and inefficient system of applying for a complex array of potential benefits much more streamlined. And our best hope in this case might be to follow the lead of Finland and implement a form of Basic Income (otherwise known as negative income tax). Basic Income offers something to both the political Left and Right. For those on the Left, the principle of universality is maintained. Everyone receives a guaranteed, flat-rate disbursement from the state every month, regardless of their wealth or income level, to be spent on essentials like food and housing or frittered away on foreign holidays as the recipient needs – or prefers. And for those on the Right, the expensive bureaucracy involved in means testing is eliminated, nobody is ever disincentivised from working, and the existence of “flat benefits” may eventually help to normalise the mirror concept of flatter taxation. 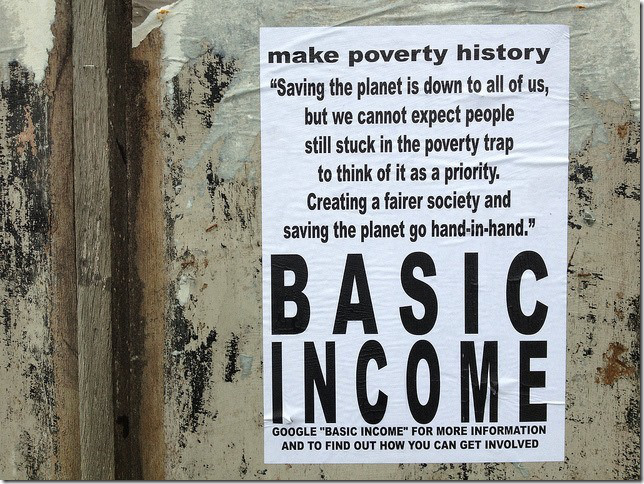 Is Basic Income “fair”? Strictly speaking, not by either of the two definitions discussed here. It is neither actively redistributive, and nor does it deliver more benefit to those who contribute the most. But despite the many criticisms of Basic Income, it is eminently pragmatic. And this itself is a huge advantage. Rather than having the Left and Right continue to shout at each other and fight each other to the awkward draw which has bequeathed us our current system, Basic Income – once bedded in – could help to depoliticise welfare and guarantee a minimum living standard for all citizens at the same time. These are debates that we could be having in this country, if only we were able to stop patting ourselves on the back for the enlightened “compassion” of our current welfare state. These are some of the radical policy ideas that we could be debating – not as fringe intellectual arguments but as serious policy discussions. But the debate never happens. And unless something changes, it never will. Politicians – and newspapers like the Guardian – keep us nodding along to the same tired old soundtrack about how lucky we are to have institutions like Our Blessed NHS and welfare state, and we keep on agreeing, even as they kill people. The 2014 Labour Party conference may be a rapidly receding memory, brushed aside in the news cycle by UKIP’s conference and Parliament’s vote to authorise military action in Iraq (again) – but it will take months for the stench of misplaced smugness, moral superiority and directionless, crusading fervour left in Labour’s wake to fully dissipate from the Manchester Central Convention Complex. The bland, ambitious, vaguely telegenic personalities were the same. The toe-curlingly bad speeches were the same. The policy announcements (where they existed) were the same. The delegates milled around, congratulating themselves for being the only ones in Britain who care about the poor, the weak and the vulnerable. So much the same. They called themselves “brother” and “sister”, and talked about “solidarity” as though they were still engaged in some kind of real, urgent, principled struggle. 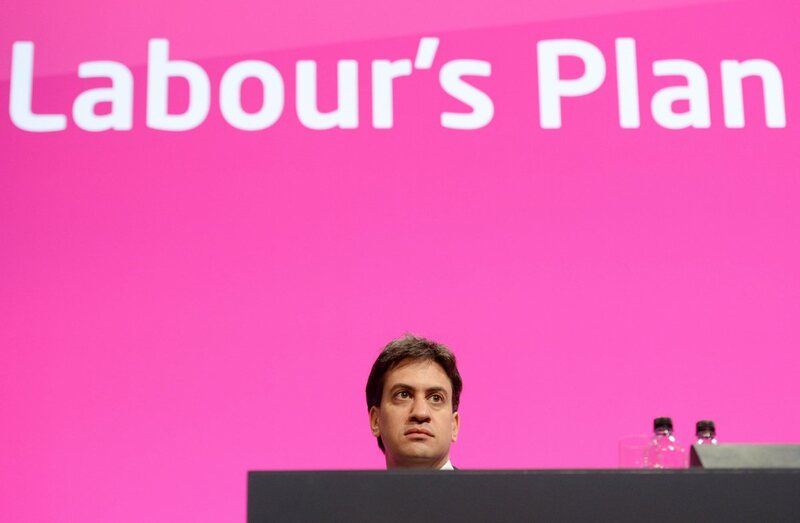 Today’s Labour Party, increasingly under the New Labour era of Tony Blair and Gordon Brown – and now reaching its dismal nadir under Ed Miliband – is nothing but an orchestrated pretence, an amateur dramatic society production of Labour’s Glory Days, with Ed Miliband playing the part of Clement Attlee and introducing Andy Burnham, in his first dramatic role, as Nye Bevan. What if the state stripped away the whole confusing, tangled web of benefits, allowances and tax credits, and replaced them with a fixed weekly government payment to every UK citizen, set according to age and regardless of wealth or employment? What if an annual stipend of £3,962 for every British adult was the price of ending the endless debate and inaction about Britain’s broken welfare system? This is the utopian future envisaged by The Citizen’s Income Trust, an organisation that generates ideas and policies around the concept of a guaranteed universal minimum income, or basic income, for everyone – no exceptions. The idea is of particular interest because it is almost revenue neutral. Conservatives and libertarians might argue that the current welfare bill and resultant tax burden is far too high as it is, and that switching one expensive system for another of equal cost would be of no fiscal benefit. This may be true. But it is also the case that four years into a Conservative-led administration, little has been done to effect root-and-branch change of Britain’s welfare system. If not now, when will it happen? Is our current position really the high water mark of what conservatism is able to do to change Britain’s expensive but largely ineffectual system? An exception must of course be made for Iain Duncan Smith’s Universal Credit programme, which promises to accomplish at least some of the same goals as the Citizen’s Income Trust by streamlining welfare payments into a single payment, calculated by a fiendishly complex formula, designed to ensure that there is a constant financial incentive at every point for citizens to switch from welfare to work when they are able. But Universal Credit doesn’t begin to touch pensions, which remain unreformed and very much the unspoken third rail of British politics. Neither does it address Gordon Brown’s toxic legacy of tax credits, which are essentially government subsidies to business to create more low-paid jobs. Battle-weary conservatives and libertarians such as Semi-Partisan Sam, long used to a hostile climate for their views, might be forgiven for thinking – with the Cameron government’s popularity at an ebb and with Ed Miliband’s unrepentently unreformed Labour Party ahead in the polls – that the battle for shrinking the state has been lost, and the only scraps left to fight over are questions of how we administrate the massive bureaucracy of redistribution. Here lies the advantage of the Citizen’s Income Trust’s proposal. The fact that such a radical change wouldn’t cost the treasury any more money forces us to focus not on the costs, but on the other benefits and disadvantages of transitioning to a universal income society. What would be the effects on motivation and incentive to work if the government provided such a floor below which no citizen could fall, unlike the current system of benefits which requires active and continual petitioning on the part of the claimant? And what are the broader moral implications? Apart from lifting millions out of poverty, the plans promote efficiency and a shrinking of the federal bureaucracy. No more “79 means-tested programs.” Creating a single point of access would also make many recipients’ lives easier. If they knew they had something to fall back on, workers could negotiate better wages and conditions, or go back to school, or quit a low-paying job to care for a child or aging relative. And with an unconditional basic income, workers wouldn’t have to worry about how making more money might lead to the loss of crucial benefits. These are all undeniably advantages that would aid, not hinder, the workings of a lightly regulated labour market such as those in the UK or US. One of the main problems for those on low incomes is that there never arises an opportunity to save and create a personal safety net in case of misfortune. In these circumstances, unforeseen events such as illness, unemployment or even an unexpectedly high bill can lead to disaster, a precipitous drop in living standards, and a return to benefits in an endless inescapable cycle. A basic income would at least do away with this honey trap that keeps so many people mired in poverty. But a guaranteed minimum income would also perpetuate the scourge of the universal benefit. As the Conservative-led coalition government found when it tried to cap child benefit for higher income earners, there is often huge resistance when something once available to everyone is suddenly means-tested or restricted in any way. But unlike most of the commentary that suggests the solution is not to means-test at all, the problem was that people unneeding and undeserving of a financial benefit were ever receiving it in the first place. When child benefit was capped in 2012, families with a single earner earning £60,000 or more per year lost the benefit, and the fallout was significant – people still cite the benefit cut high in their reasons for dissatisfaction with David Cameron and his supposed contempt for the Conservative grassroots. Of course, the conservative grassroots should never have been content to pay higher taxes in exchange for getting a fraction of their money back through a universal benefit anyway, but this shortcoming was widely overlooked. Everyone squeals when a universal benefit is taken away, even when the payments are only subsidising violin lessons, wine club memberships or second holidays abroad. And the fact that a payment intended to help with the purchase of essentials such as children’s clothing or nutritious food is co-opted by the middle classes and those on upper incomes to subsidise luxuries speaks to the tremendous waste that such benefits represent. This side of the argument is one too often overlooked by those on the right. Of course it is right and proper that conservatives should support and defend the role of the free market in Britain – that much is crucial. But sometimes – perhaps forgivably, since the free market is under such constant attack by so many voices on the left – we can overlook the fact that the market does not account for everything, and that there are externalities to be considered too. At present, negative externalities such as environmental pollution or the social harm caused by bad parenting are inadequately accounted for, if at all. Just because it is difficult to apportion costs to such things doesn’t mean that we are granted a licence to throw our hands in the air and make no attempt – but time and again, this is what we do. Therefore, there is some argument that a minimum income could address this shortfall, though it would certainly be a very blunt instrument with which to tackle a problem that likely needs more surgical – or radical – intervention. Yet the effort to create a reform conservatism and reconstitute the GOP as the “party of ideas” seems to demand contemplating legitimately radical new ideas on welfare reform. Radical thinking is certainly required, in Britain as well as in America. If Iain Duncan Smith’s Universal Credit experiment ever actually rolls out on a significant scale and beds down sufficiently that it cannot be immediately unpicked by an incoming Labour administration, then this might be the start of a different radical solution. But at this point, it seems equally likely that Universal Credit will collapse under a mountain of bad headlines, negative spin from Labour and the ubiquitous government IT contract failures that seem to blight any ambitious effort of any scale. If this becomes the case, could a future British Conservative government turn instead to universal minimum income as an alternative? The view of this blog is that a basic or universal minimum income should indeed be considered in the event of the failure of Universal Credit – though a higher payment incorporating (and doing away with) housing benefit, making it a truly single payment, would be preferable to the model proposed by the Citizen’s Income Trust. Arriving at this viewpoint requires the realisation that the libertarian ideal is not achieveable in modern day Britain, at least not in the short to medium term – there are simply too many people beholden to the idea of a big, activist state. But in proposing a basic income, conservatives and libertarians can at least make all of their concessions in one unpalatable gulp. Subsidising those who choose not to work may be distasteful, but it is a concession that has to be made only once, as opposed to endless tweaks and patches to a leaking and inefficient welfare system with numerous defined benefits. The mere fact that the dull debate about the extent and cost of benefit fraud would be eliminated at a stroke is in itself almost enough of a reason to support the idea. Accepting a basic income could thus be acceptable, and even desirable, if concessions were won from the left ensuring that other regulations (particularly in the labour market) would be reduced commensurately, leading to a more flexible labour market and a more competitive economy. The left can have their cherished goal of a safety net and minimum guaranteed standard of living below which no citizen may fall, but only if the right can have their prize of light-touch regulation throughout the economy. And as with all the best political deals, both sides could legitimately claim victory. The Swiss will be the next to decide on whether or not to adopt a guaranteed basic income for all citizens. Theirs will be an interesting test case. But opportunities could soon arise for the radical policy to find its way into the manifestos of Britain’s main political parties – Conservatives in the event that they lose in 2015 and are forced to return to the drawing board, Labour if Ed Miliband decides to actually stand for something at the election, and even UKIP as they seek to square the circle and please their newfound ex-Labour supporters while retaining the backing of their energetic conservative-libertarian wing. Of these, UKIP would seem the most likely buyers at present. Nigel Farage’s party need a strong narrative to cling to as their core messages on the EU and immigration tumble down the list of voters’ priorities in the general election campaign. What better way to eclipse the shambles of their 2013 party conference than to storm out of the gate with a bold policy proposal that could unite both left and right, whilst simultaneously wrongfooting the two legacy parties? If we cannot have our libertarian Jerusalem in England’s green and pleasant land, perhaps we could at least be partially satisfied with the curious compromise of universal basic income.